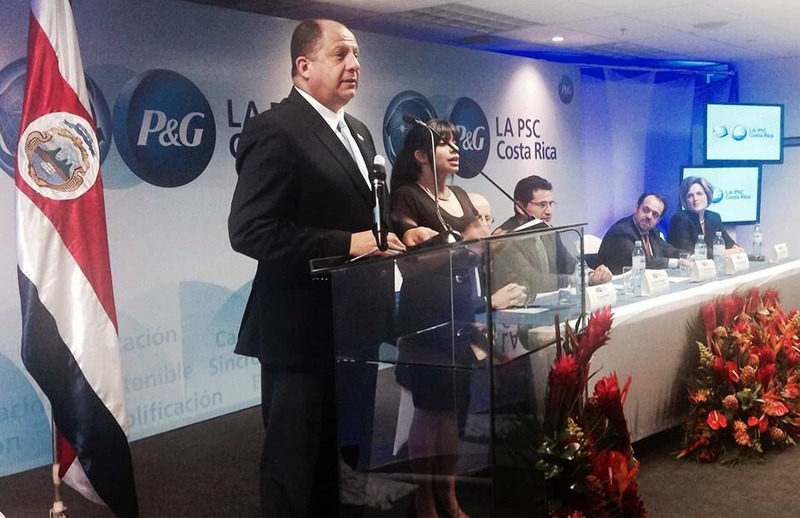 U.S. company Procter & Gamble (P&G) on Wednesday evening opened in Costa Rica a new supply-chain planning center for its entire operation in Latin America, which will employ 500 workers when it reaches full capacity in June 2015. The company has already hired 200 employees, and in coming days will begin recruiting an additional 300 workers, company officials said at an opening ceremony attended by President Luis Guillermo Solís. The new facilities span more than 6,000 square meters at Forum Industrial Park in Santa Ana, southwest of the capital. The center will consolidate supply-chain planning of 25 company operations on the continent. At the opening ceremony Solís said new facilities reflect the country’s key role in operations of several multinational businesses. “We are glad to know that multinational companies are relying on Costa Rican talent to expand their operations,” Solís said. P&G is seeking bilingual professionals in systems engineering, economics, logistics, computing and business administration. Candidates interested in applying for a job can find a list of available posts and submit their resumes at: www.experiencepg.com. P&G launched operations in Costa Rica in 1999 and currently employs 1,500 bilingual professionals in two operations: a financial services center and a business transformation center.